The Death Of "Web 2.0"
I’m not going to discuss the economic meltdown and its devastating effect on technology companies and internet startups in this post, but rather something that crossed my mind earlier this morning: “Web 2.0” seems to become more and more a void (and an avoided) term. Of course, that’s not necessarily a bad thing, but it is definitely apparent. 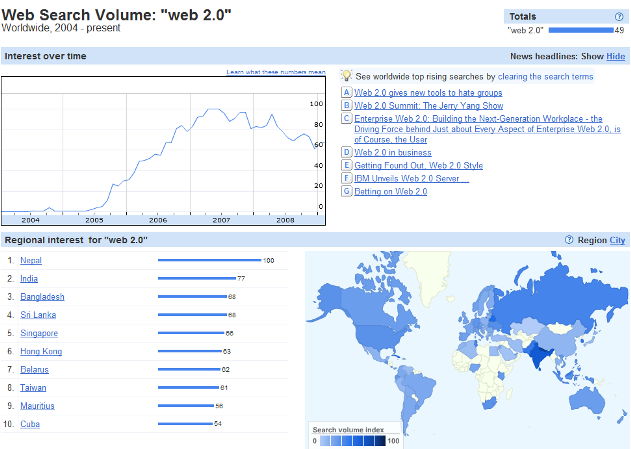 Judging by Google Trends, which shows how often a particular search term is entered relative to the total search volume across various regions of the world (and in various languages), the term started being used at the end of 2004 when Tim O’Reilly organized the first edition of the Web 2.0 Conference. Search queries for the term started picking up in the middle of 2005, when TechCrunch was started – with the tagline “Tracking Web 2.0” by the way – and the number kept increasing until the end of 2007. After that, the trend is clearly downwards, falling back to the level it reached in early 2006 today. 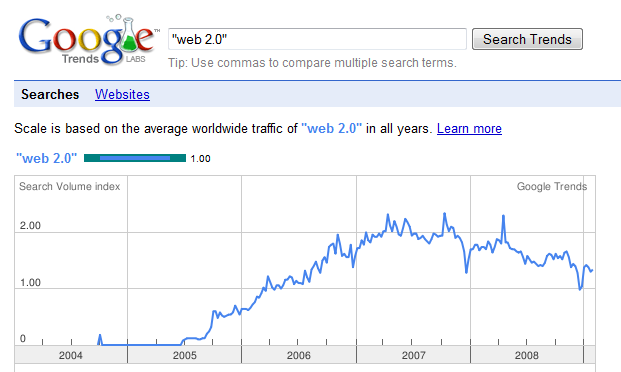 If the trend continues, there should only be a handful of people left who scour search engines for “Web 2.0” by 2011. Also noteworthy: take a look at the geographic regions that have generated the highest volumes of worldwide search traffic for the term over the years – it’s Asia, with the top 5 regions being India, Singapore, Hong Kong, Taiwan and Malaysia (in that order). Furthermore, Google Trends pegs the number one language in which people search for stuff related to the topic of Web 2.0 to be Russian before English. And just in case you’re curious: “Web 3.0” doesn’t seem to picking up much. 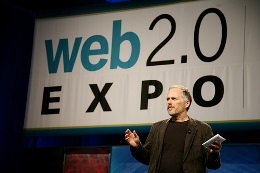 I’ve never had anything against the phrase “Web 2.0”, but I wouldn’t miss it a bit if it were never used again.